Sexual Tsunami for the libido and sexuality of womens. 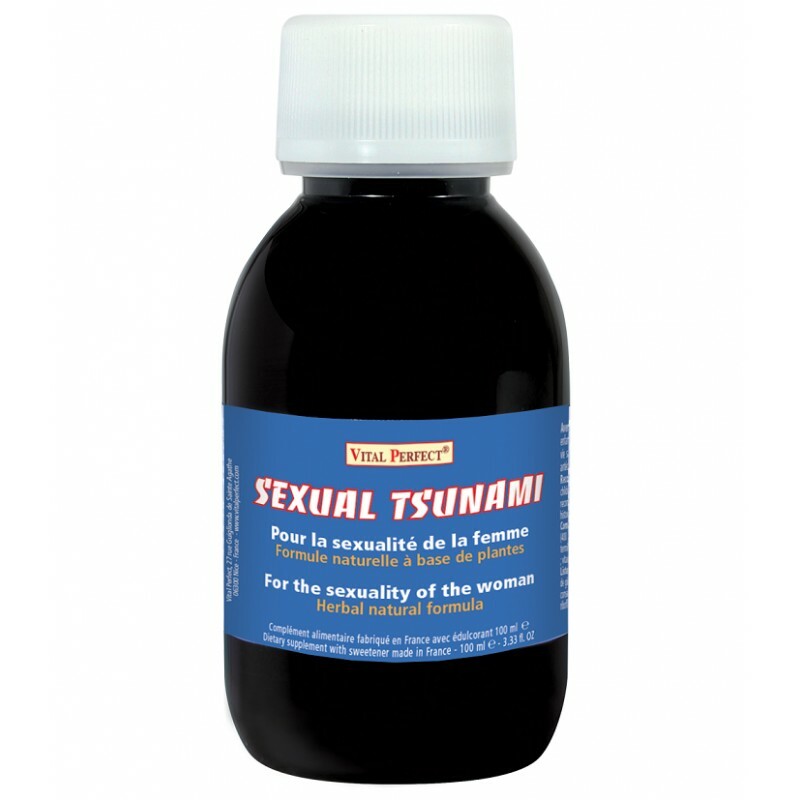 Sexual Tsunami is a natural aphrodisiac for a good libido and sexuality of the woman. Terminalia helps to keep high libido, maintain healthy reproductive organs, protect cells from the aging process and contribute to the health of the cardiovascular system. Ginseng helps to maintain good sexual relations and increases physical performance. Piper nigrum helps to cleanse the reproductive organs by promoting blood circulation in blood vessels and fine blood capillaries. Vitamin B2 helps maintain normal mucous membranes and normal red blood cells. Vitamin B6 helps regulate hormonal activity and reduce fatigue. 100 ml ℮ / 3.33 fl. OZ bottle. take a cap of 10 ml per day, pure or diluted in a glass of water or other liquid. Vital Perfect is a high quality brand. Efficiency and safety are at the heart of our research and manufacturing. 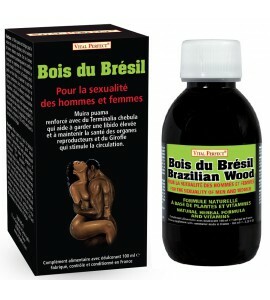 We strive daily to offer to all men and women the best products, the nearest of natural. To do this, Vital Perfect collaborates with leading French labs. All our products are developed, manufactured, controled and conditioned in France. They have undergone a rigorous specifications, in the total respect of French and European standards drastics. Each ingredient has been validated by the french official authorities of the health and safety, then each finished product was controlled, before issuing permits to put on the market. Make trust at Vital Perfect is for you an absolute guarantee of traceability and safety and also, helps to maintain and develop jobs in France. dry extract of panax ginseng (90 mg), dry extract of rhodiola rosea (30 mg), dry extract of levisticum officinale (21 mg), dry extract of terminalia chebula (10 mg), dry extract of piper nigrum (10 mg), dry extract of rosa canina (90 mg) at 50% vitamin C (45 mg - 56% AJR), vitamin B2 (1.40 mg - 100% AJR), vitamin B6 (1.40 mg - 100% AJR). water, dry extract of ginseng, dry extract of rosa canina, ascorbic acid, dry extract of rhodiola, dry extract of levisticum, flavoring: peach flavor, preservatives: potassium sorbate, sodium benzoate, dry extract of terminalia, dry extract of piper nigrum, pyridoxine hydrochloride, riboflavin, sweetener: rebaudiosides A (stevia rebaudiana). do not exceed the recommended daily dose. Keep out of reach of children. Consume as part of a varied and balanced diet and a healthy lifestyle. Product not recommended for pregnant and lactating women and people on antidiabetic treatment.